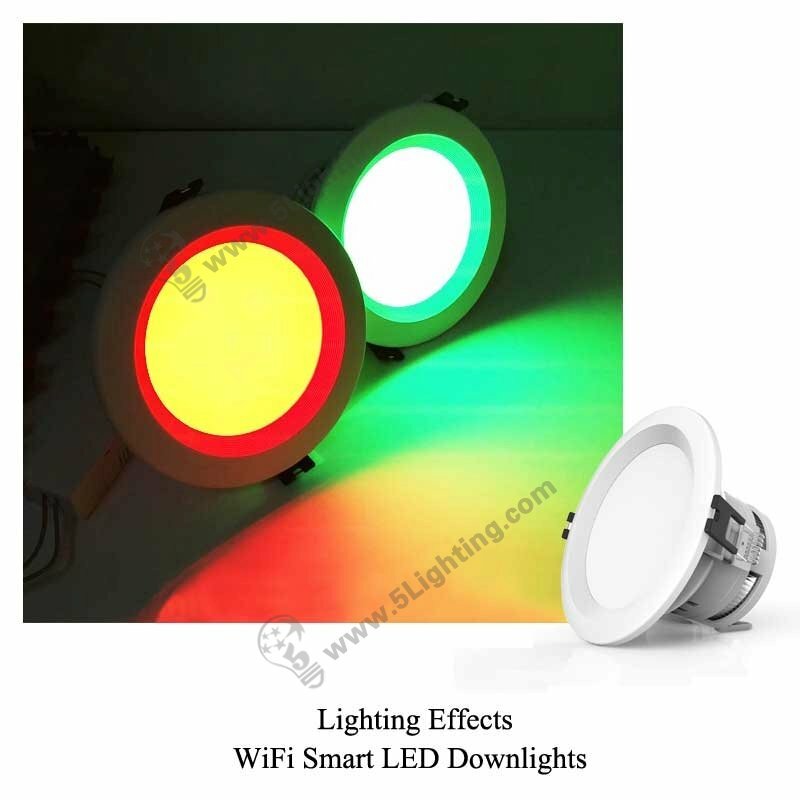 Application: For entertainment decoration lighting, likes: party, club, pub etc. 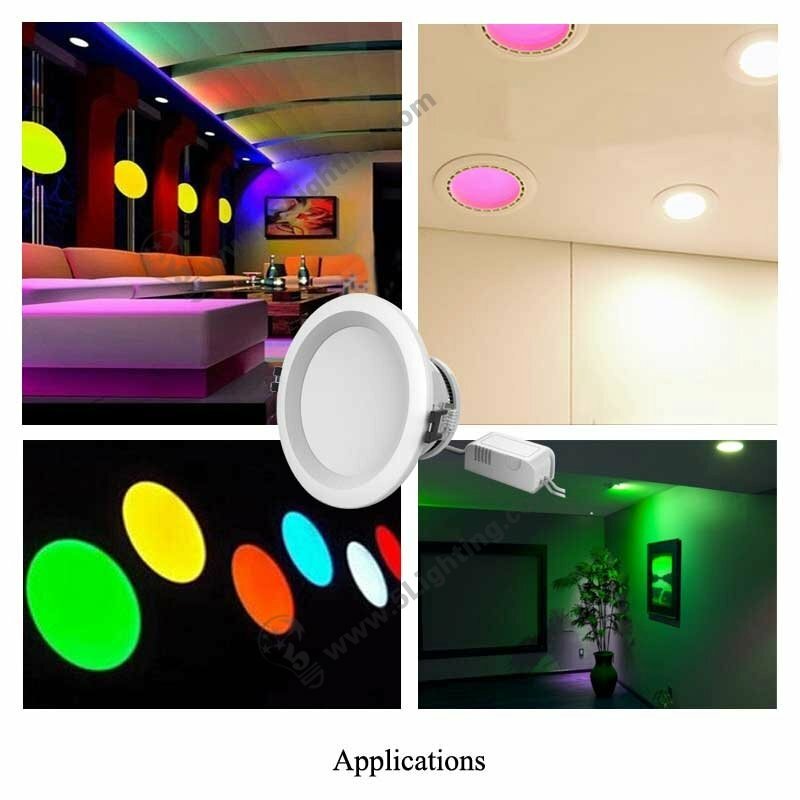 c): This RGBW LED recessed lights are avaliable for customers to personalize your lighting with a color palette of over 16 million colors, plus different tones of white light, that colorful vision will create more fun to your life! 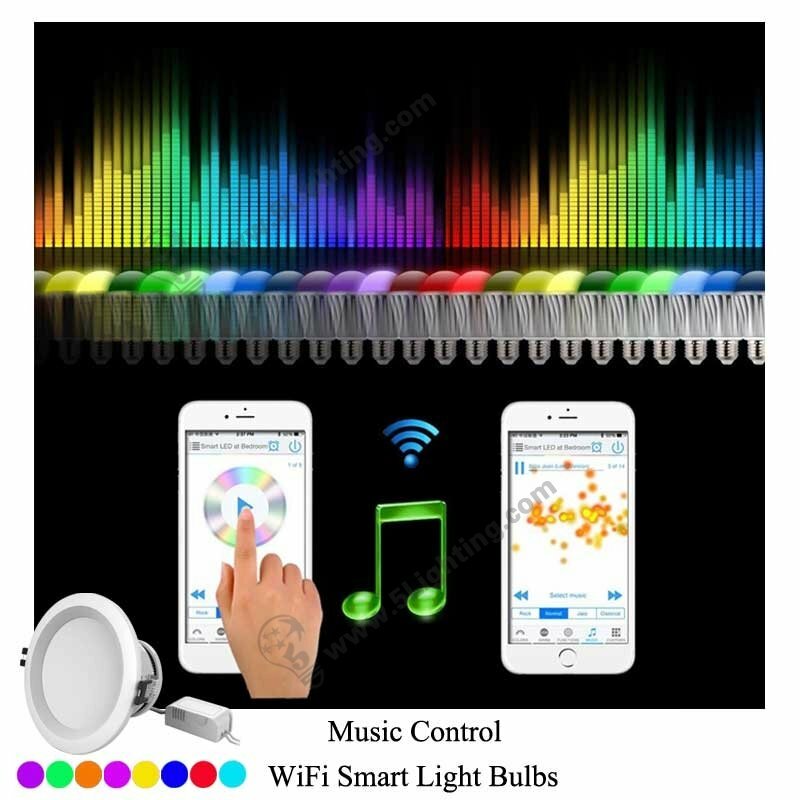 i): Here are two methods of download our free APP, from APP store/Google play store or download directly by scanning QR code, we also offer customized packing box and customized APP with your logo. 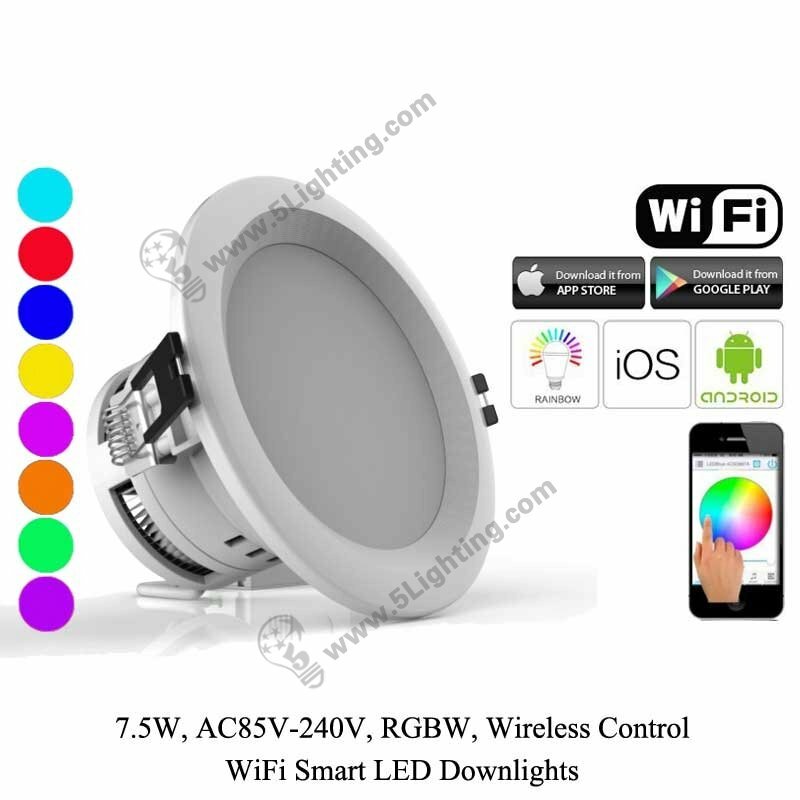 Factory direct sale 7W RGBW Wifi Smart LED Downlights with wifi controlled function through our free APP ‘MagicHome WiFi’, it has 20 color changing modes and 16 millions of lighting colors for options, and it also will change with music or other sound wave, perfect for different kinds of indoor entertainment decoration lighting. 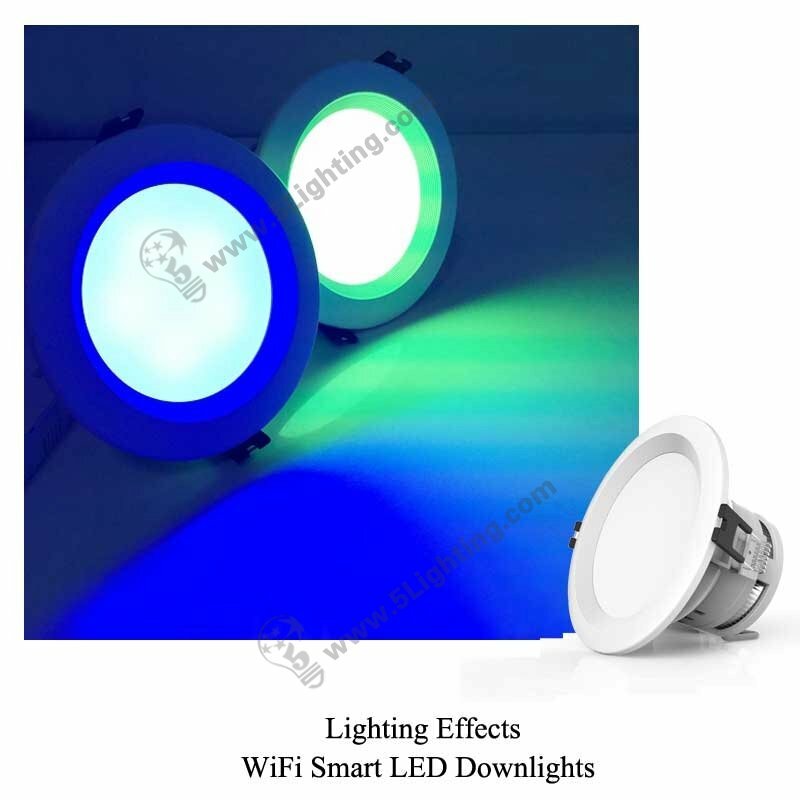 : Special indoor decoration lighting: Party decoration lighting, Pub lighting, Club lighting, KTV lighting, Stage lighting and other entertainment place or operating atmosphere scenes. 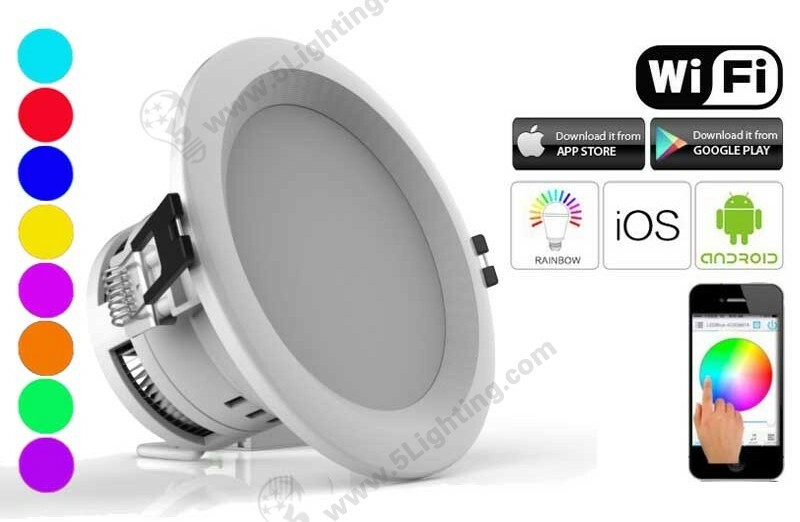 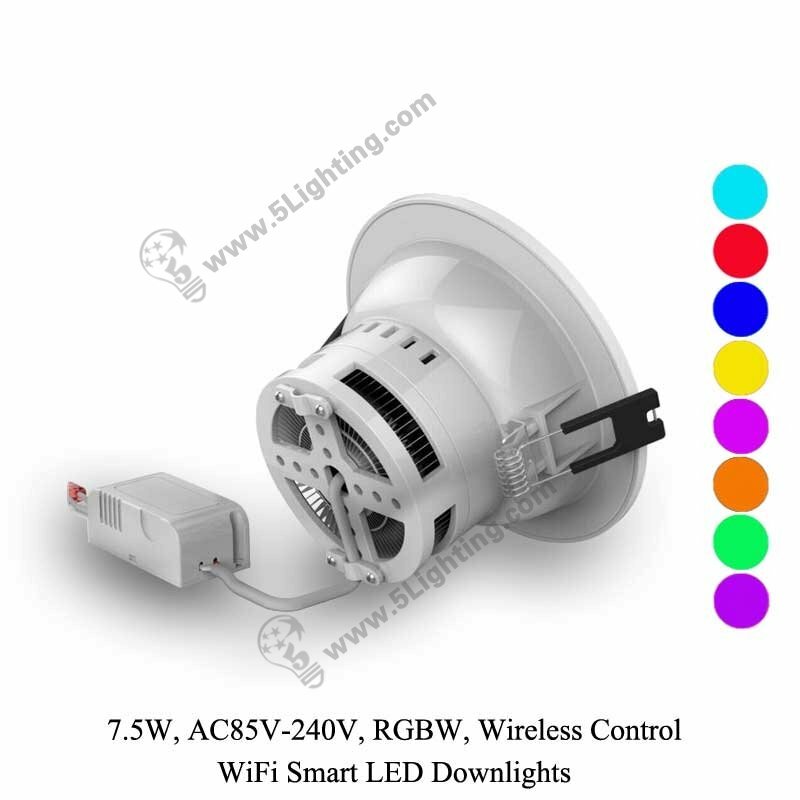 Good quality 7W RGBW wifi smart down lighting from 5 star lighting factory. 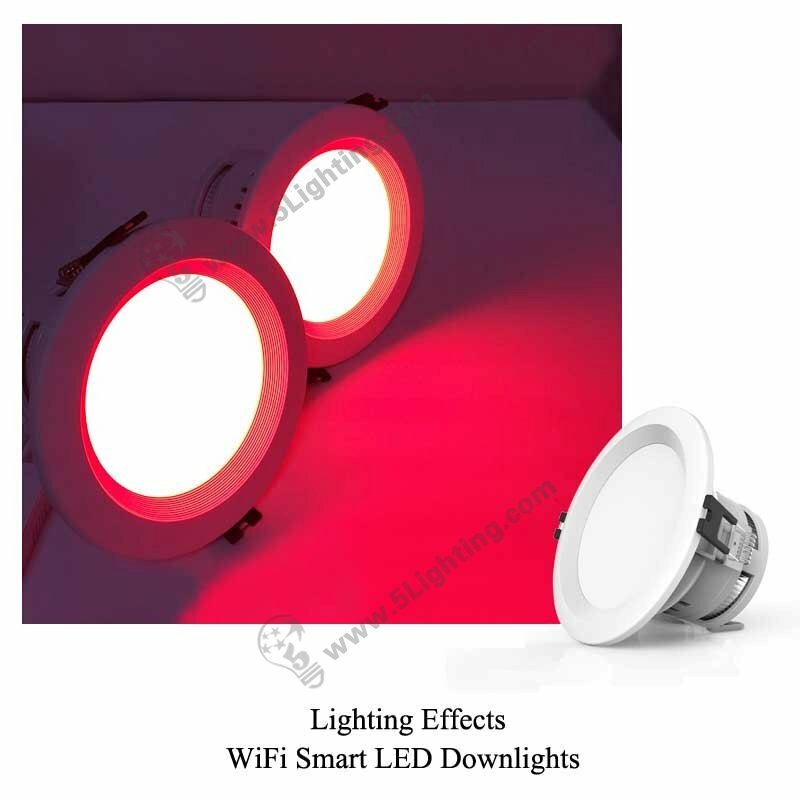 How to create a warm and funny atmosphere to your bedroom? 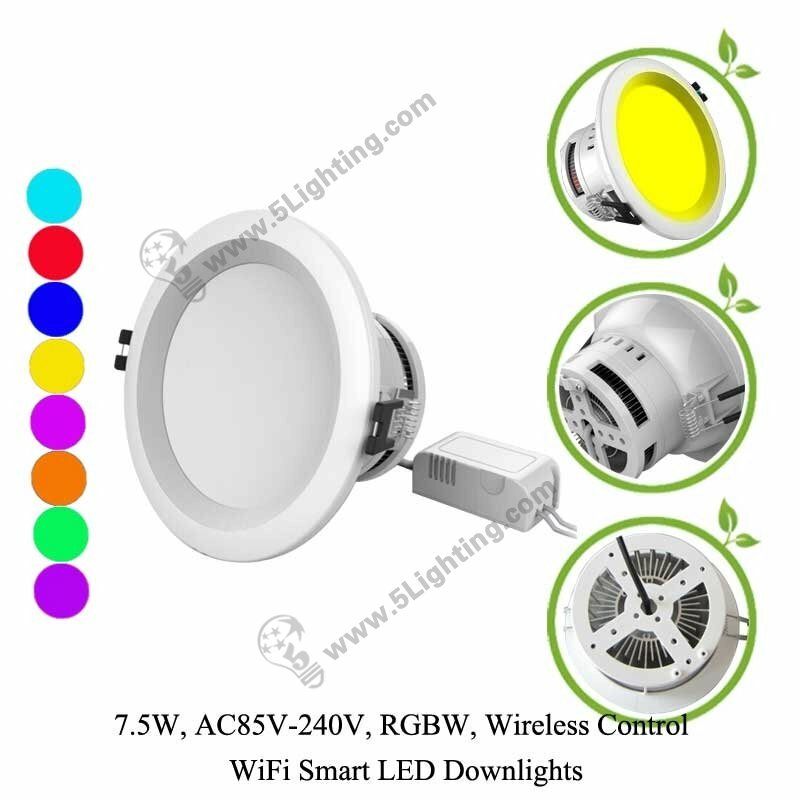 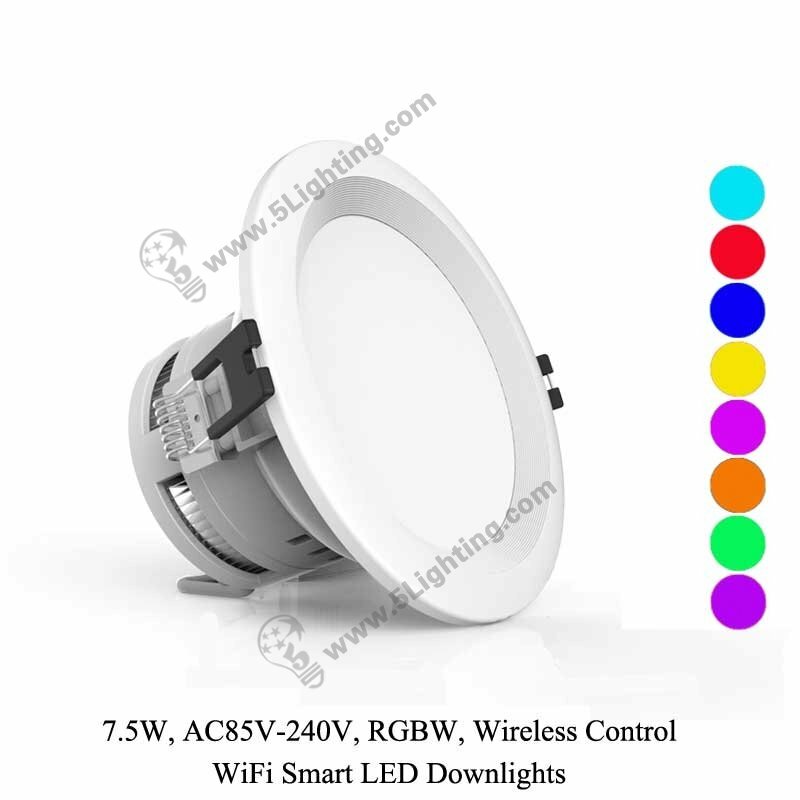 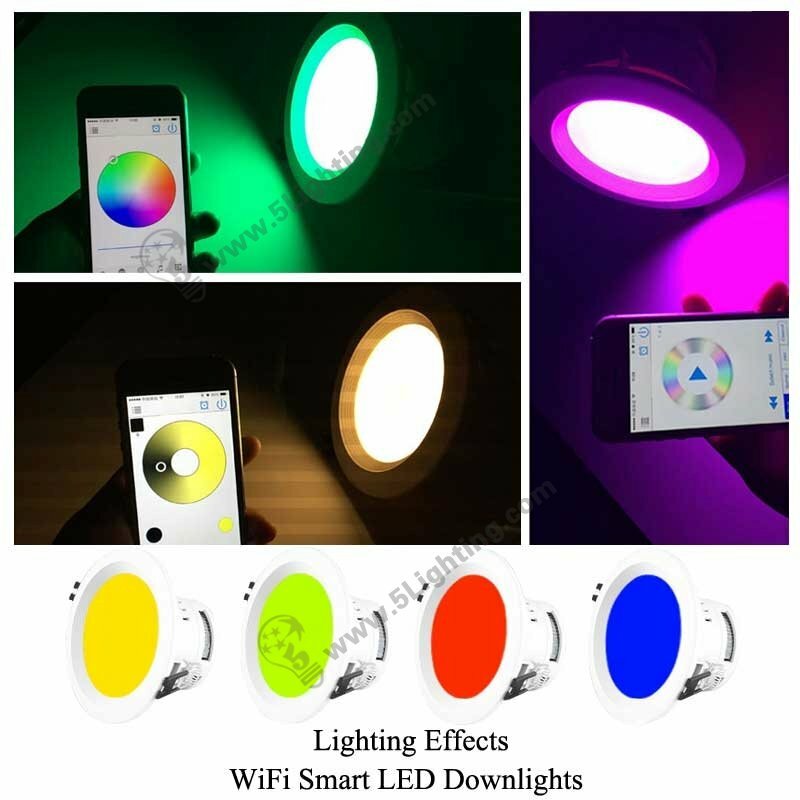 Use RGBW WiFi Smart LED Down light to make your room more relax and funny.